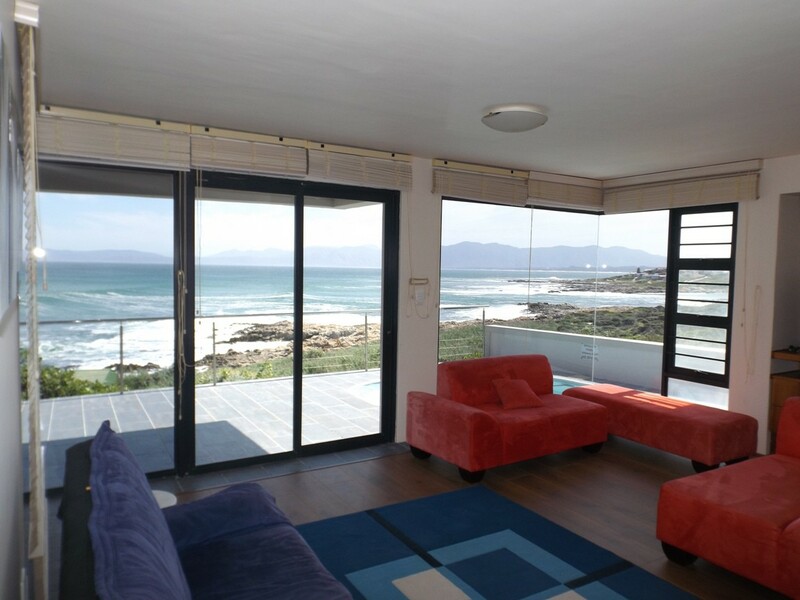 This lovely apartment is in the Big Two (whales and sharks) town of Gansbaai. 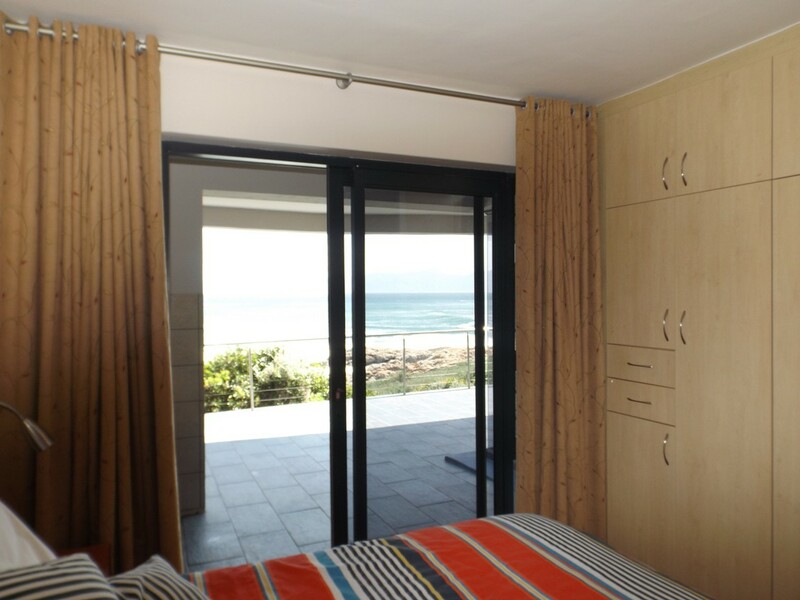 From every room you have an unrestricted view on Walker Bay. Only rocks and fynbos in between. During season June to November you can watch whales coming to the bay to mate and breed. 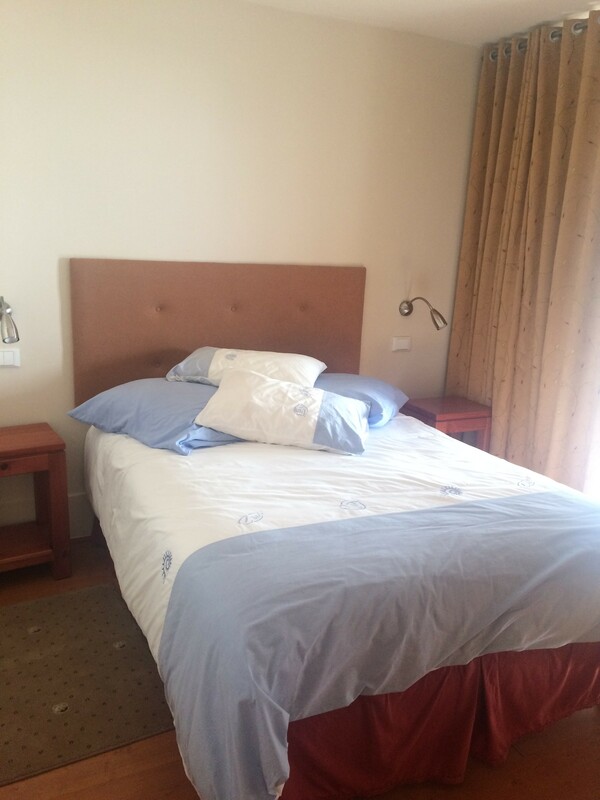 The unit has 2 ensuite bedrooms, a kitchenette, lounge, guest toilet and DStv. 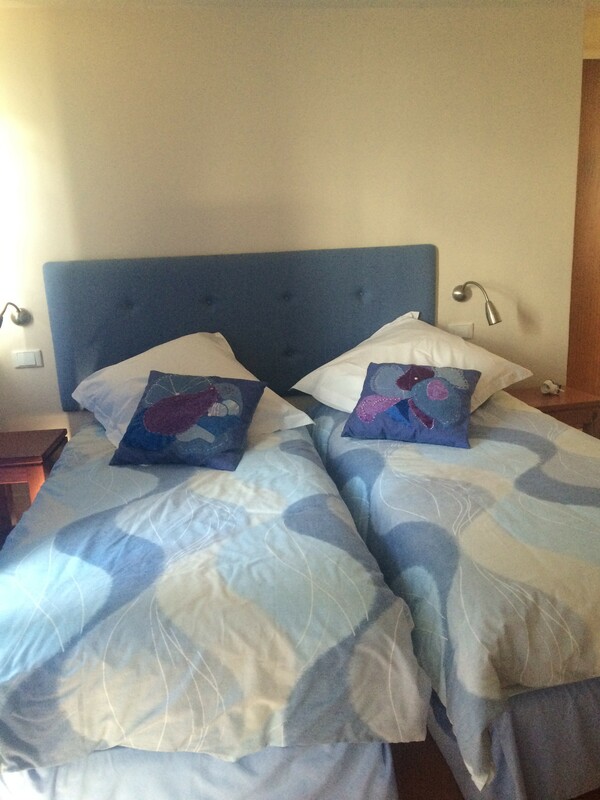 Bedroom one has a queen size bed and bedroom two has 2 single beds. There is also a sleeping coach in the lounge. It can sleep 5 adults. 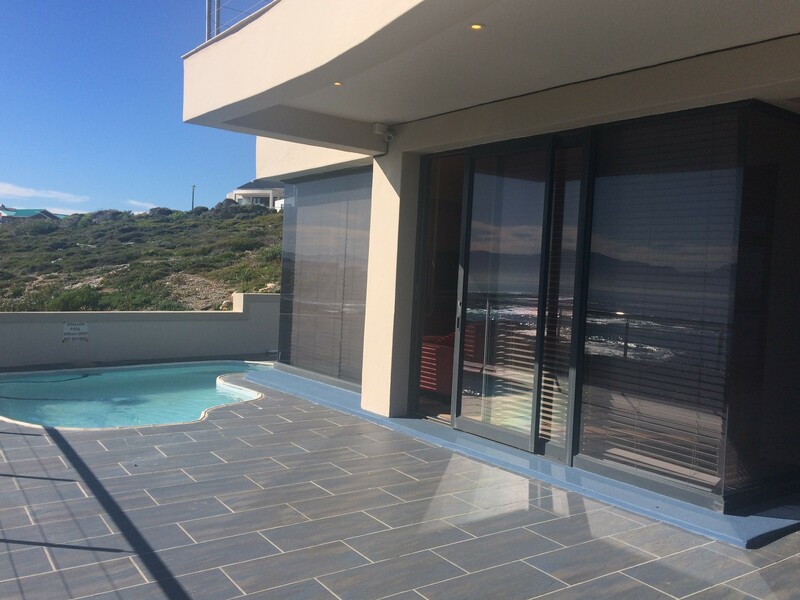 The private patio has a splash pool, patio furniture and a gas braai, all on ocean level. 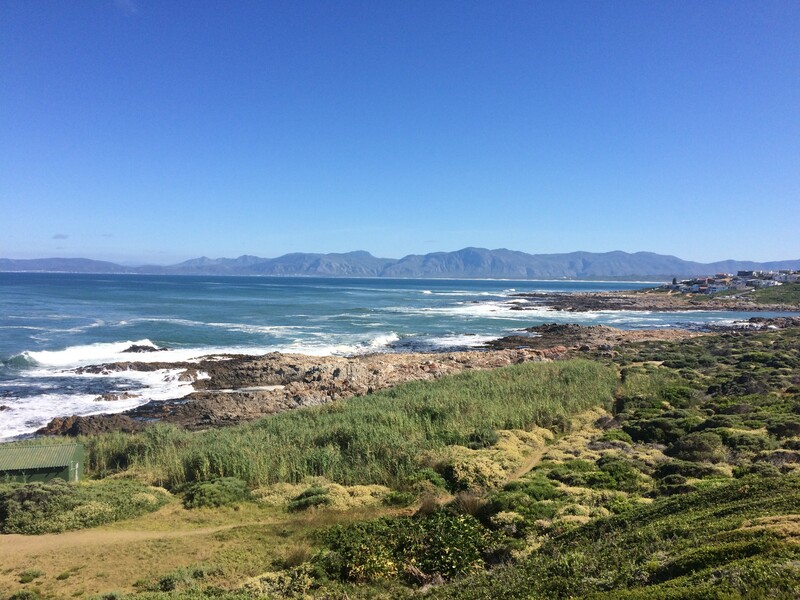 Within a radius of 8 km there are shark diving opportunities, various good restaurants, beautiful hiking trails, fishing from the rocks, a tidal pool and Stanford cove with grass banks, ideal for small children to splash and play in. The apartment contains the entire ground floor of the property. 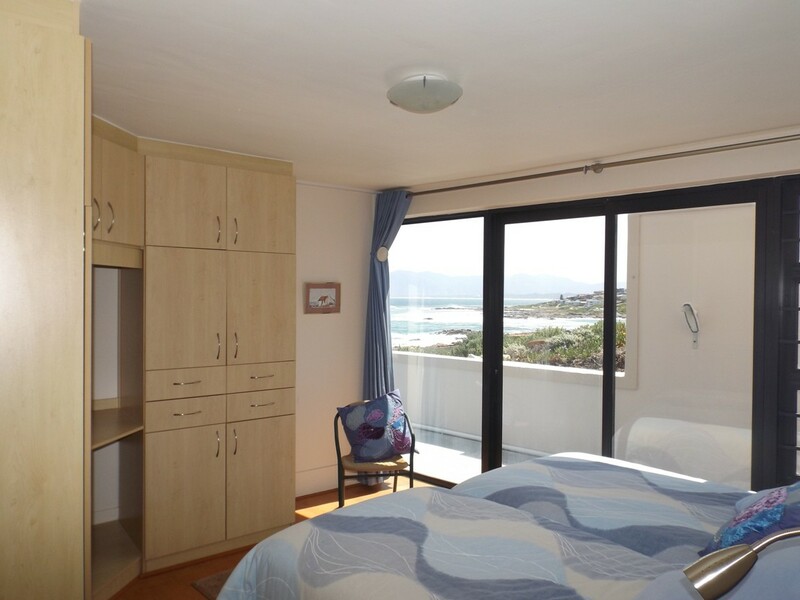 It has an unrestricted view, even from every bed, on the Walker Bay. Accross the bay you have a view on Hermanus and the mountains. 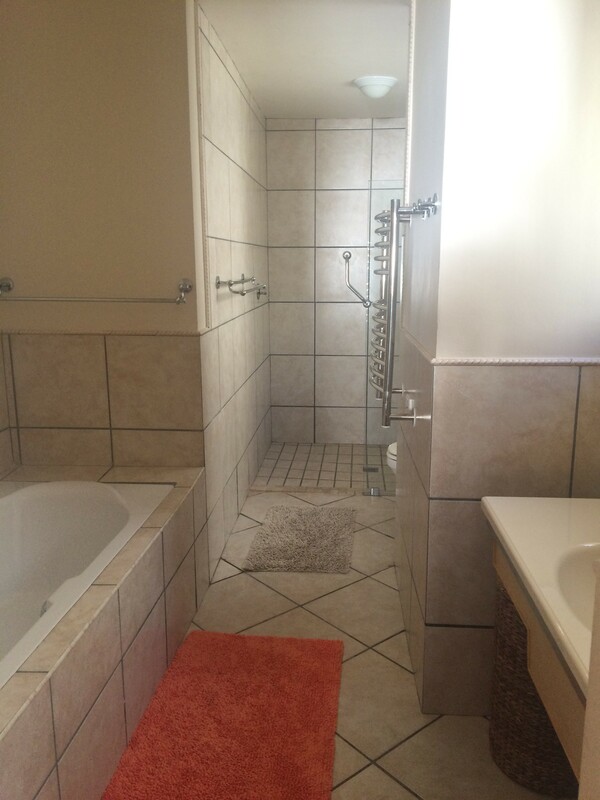 There are 2 en suite bedrooms. Bedroom 1 has a queen size bed and the bathroom has a bath and shower. Bedroom 2 has 2 single beds and the bathroom only has a king size shower. 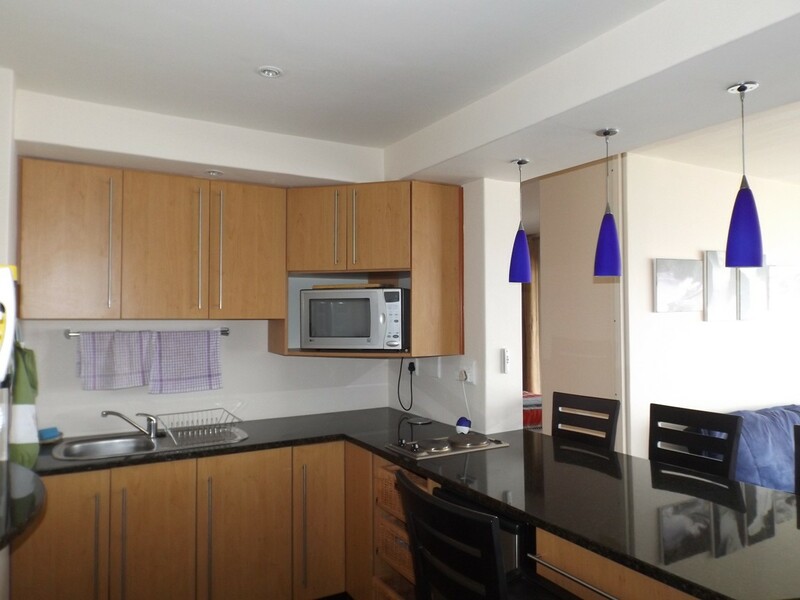 The kitchenette is stocked with all necessary utensils including, a small fridge, microwave, 2 plate stove and bar stools. The lounge has a sleeping coach, a Tv (DSTV full bouquet) , heater and fan. 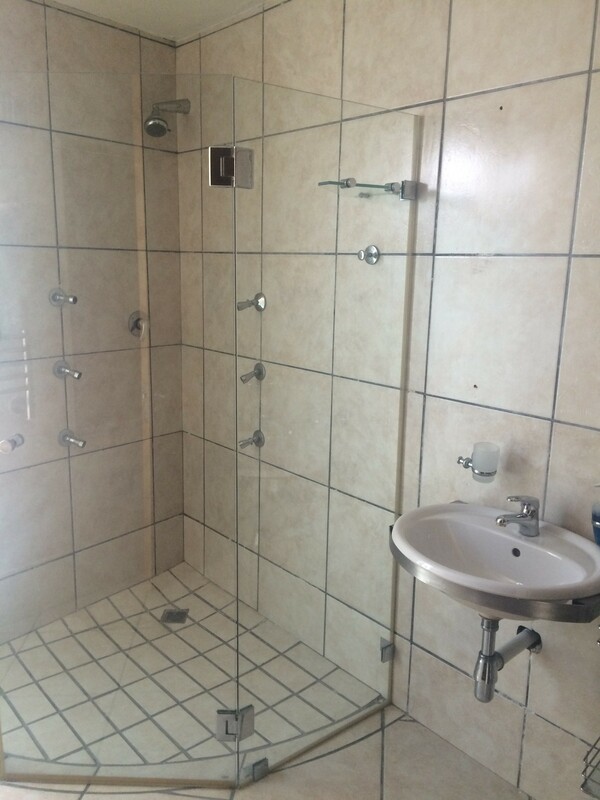 There is also an extra guest toilet. 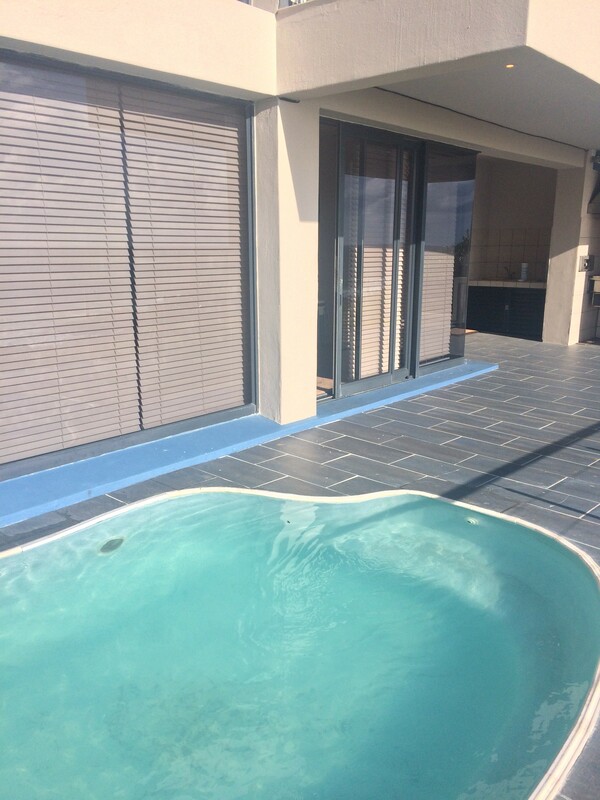 The private patio has patio furniture, a roof covered gas braai and a splash pool for the guests. The entrance to the apartment is down 35 comfortable, wide stairs on the outside of the house. 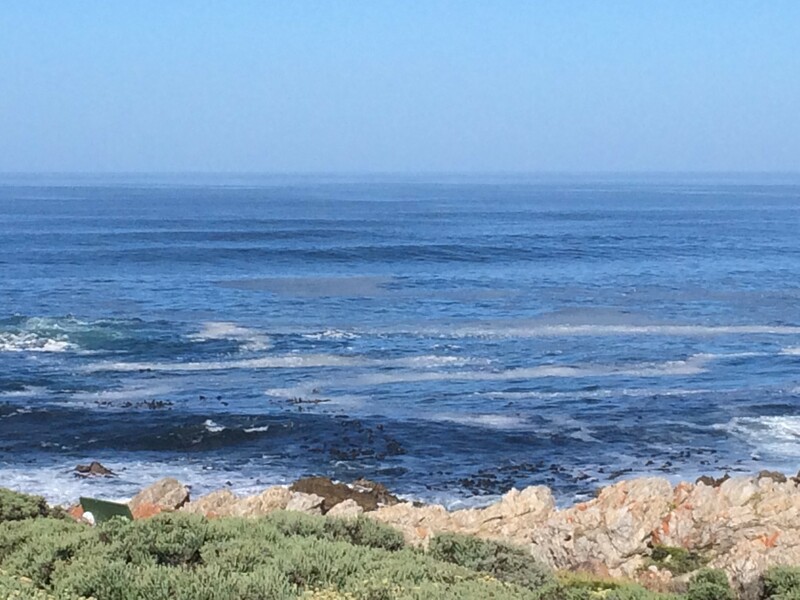 During the whale season, June to November, guests can enjoy the sight as the Southern Right whales come to mate and breed in the Walker Bay. There is a tidal pool and the Stanford cove is an ideal place for small children to swim and play on the grass banks. All within walking distance. Many walking and hiking trails are available. 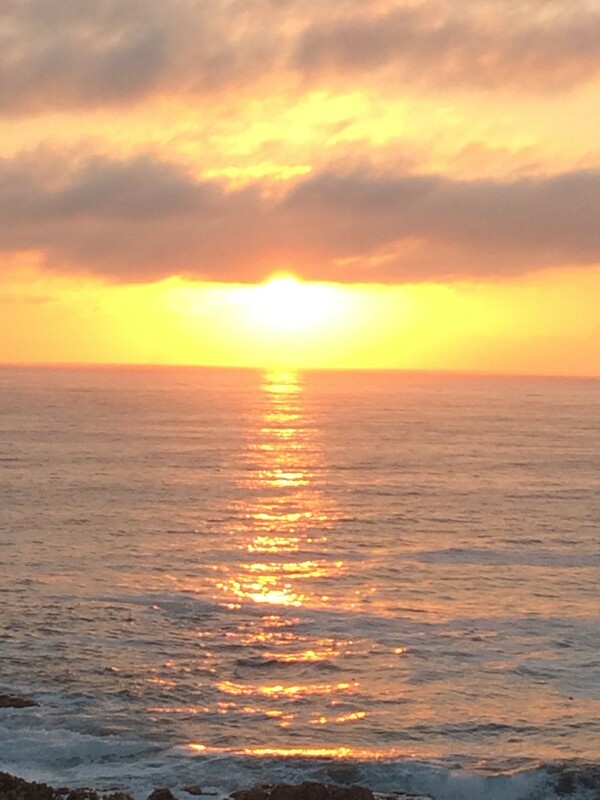 Local fishing boats are a common sight on the ocean and the sunsets are just awesome. 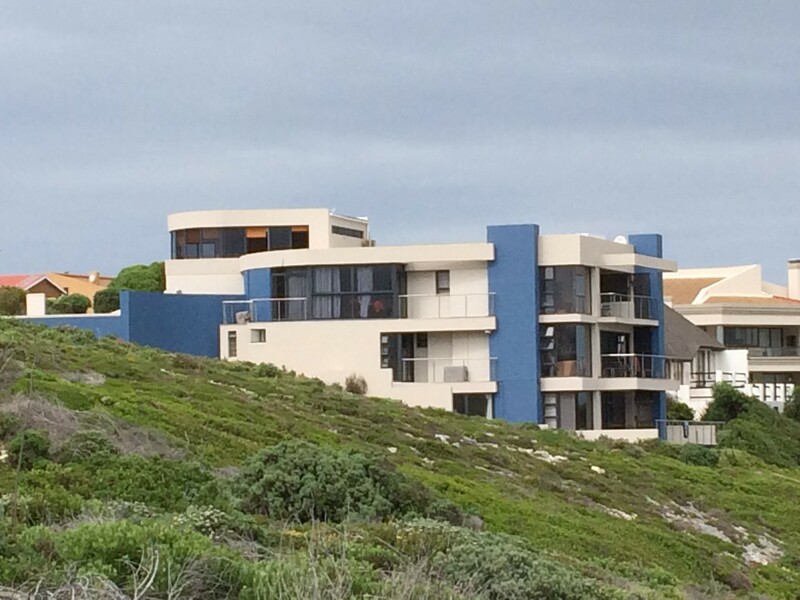 Gansbaai is world renowned for their shark diving trips. This is less than 8km from this property. There are also several good restaurants, offering a wide variety of food. A number of wine tasting vineyards are in the region as well as beer tasting at Birkenhead. 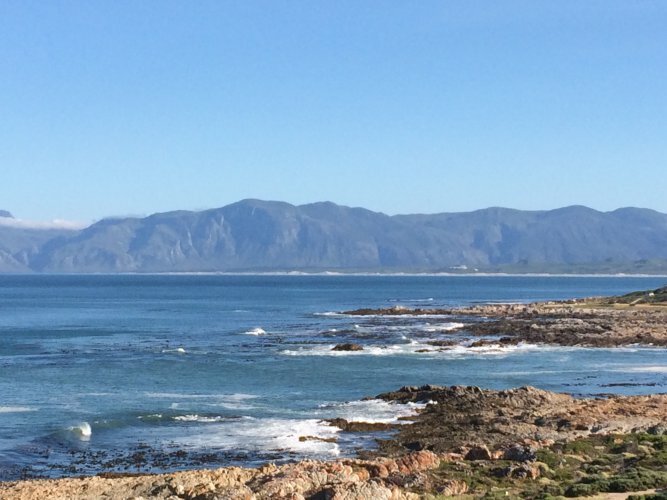 Beaches are Uilenskraalmond (9km) and Hermanus’s Blue flag (40km). The is the ideal spot to come and relax with peace and the awesome beauty of nature all around you.